On paper (aka the map) Mt. 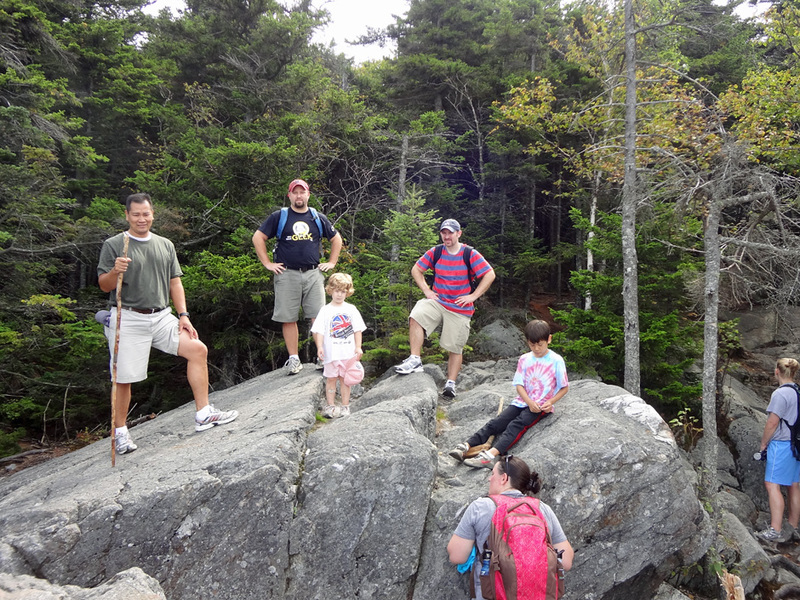 Kearsarge in Winslow State Park appears to be an easy, breezy hike perfect for families with young kids. 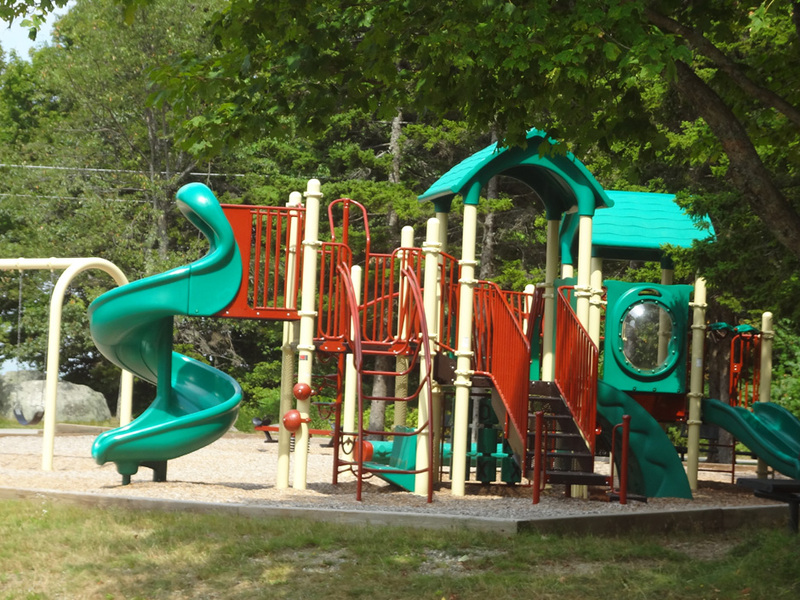 You drive more than halfway up the mountain to reach the trailheads, after all, and there’s a playground adjacent to the parking lot. 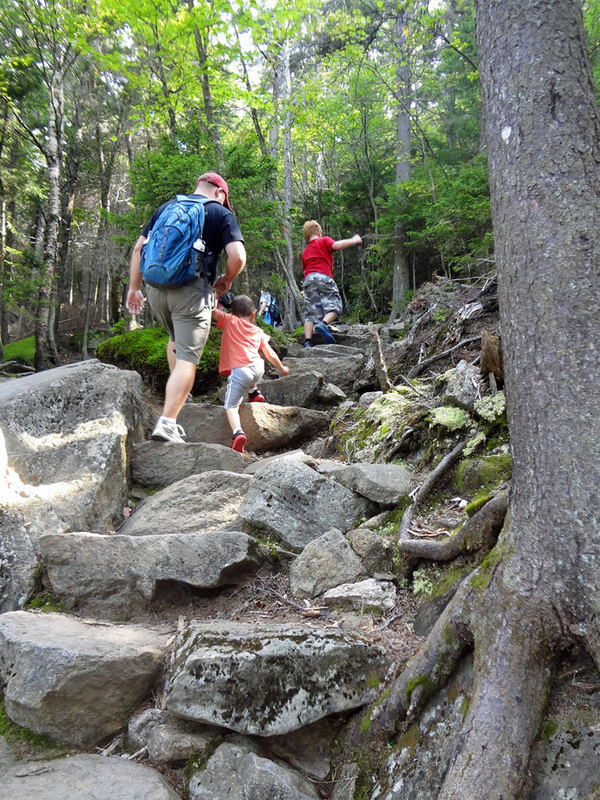 Don’t count your peaks before they’re bagged, however, as this hike will test the mettle of little feet (not to mention their parents’ patience). An enticement to finish, or a meltdown waiting to happen? The trailhead for the Winslow Trail and the Barlow Trail begin at the same sign posting but go in different directions. Choose wisely as the 1,100 feet in elevation gain isn’t attained with an equal amount of effort on these two trails. If you’re planning on doing the full loop, the Winslow Trail is the better ascent as it is steeper with considerably more rocks and roots. It’s better for young ones to tackle these hazards with fresh legs. Sure, it’s only 1.1 miles to the top of Mt. Kearsarge, but the Winslow Trail guarantees a good night sleep. We brought five kids on this hike ranging in age from nearly four to nine, and for the most part they held up pretty well. Their sense of adventure and love for the outdoors was highlighted by their enthusiastic comments. “How much further?” (A mile). “Are we there yet?” (Not just a cliché, they actually say it). “I don’t want to walk any more. Carry me.” (That was my child…paternity test now pending). “Why can’t I hit my sister with the stick?” (Okay, he didn’t actually say this, but we all knew he was thinking it). After several switchbacks and a good deal of rock stepping, the trail comes to a large boulder split in two, from which there’s the first viewpoint. Not far thereafter the trail emerges above treeline and reconnects with the Barlow Trail .1 of a mile from the top. 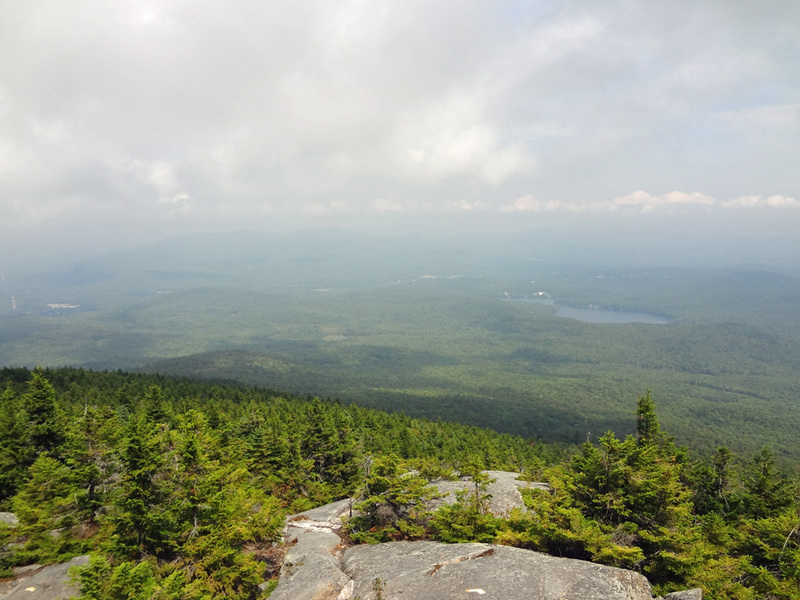 The summit itself is completely open with a fire tower, picnic area, and, on a good day, an abundance of views across New Hampshire and into Vermont. Mt. Kearsarge’s one blemish is a communications tower and its accompanying utility sheds. On a clear day the views atop Mt. Kearsarge are outstanding. Or so I’m told. The Barlow Trail provides more of a roundabout route. 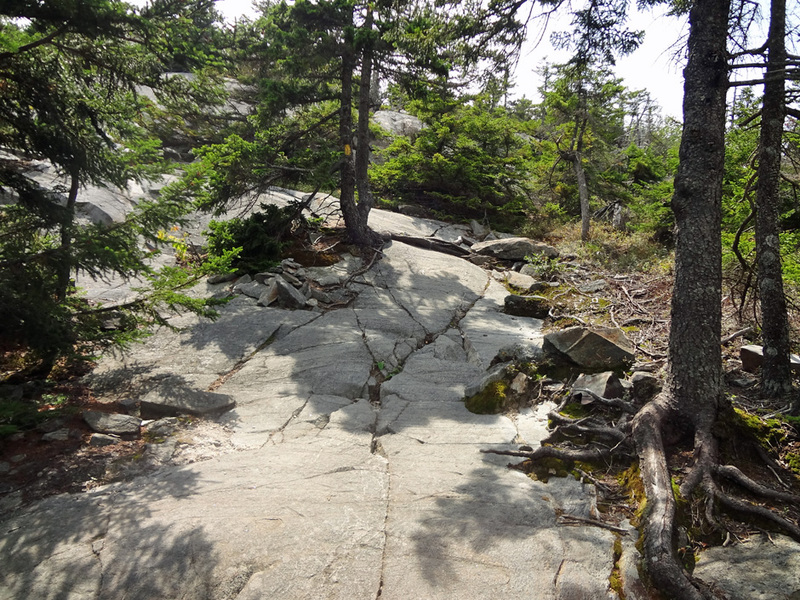 The footing is also much easier, especially in the upper, steeper parts where the trail is composed mostly of flat rock. The bottom portion is primarily dirt based with a worn cowpath looking groove that leads hikers through a pleasant forest. 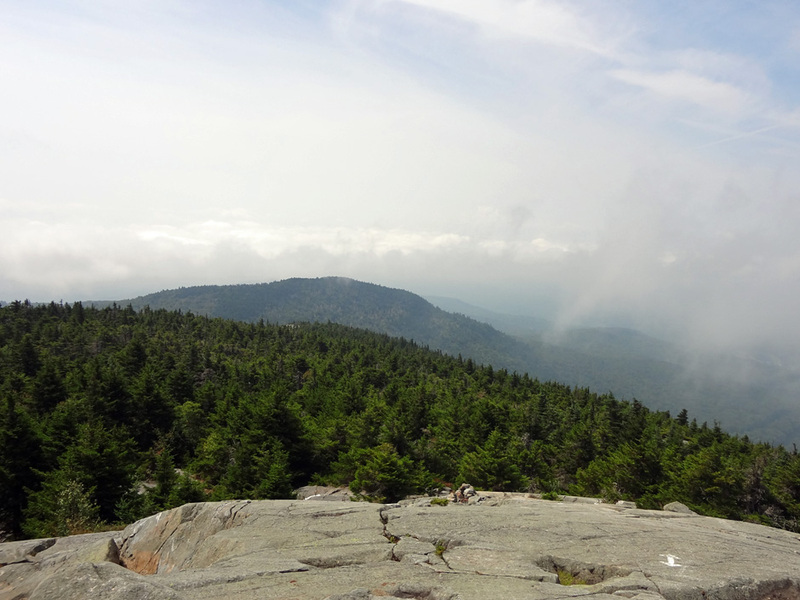 The Barlow Trail offers an extended segment above treeline with more views. The Barlow Trail is longer but easier. Take Interstate 89 to exit 10 and follow the signs to Winslow State Park. It’s roughly a ten minute drive from the exit. The previous link provides information on the park fees and operating hours.